Water Heater Replacement | Brooks Plumbing Co.
No matter the temperature outside, you depend on hot water for warm baths, clean clothes, and sparkly dishes. This is why it is especially important to make sure that your hot water heater is running as efficiently and effectively as possible. So, what do you do when your water heater no longer can keep up with your hot water demands? Of course, deciding to replace your water heater is not always an easy decision, which is why hiring the right plumber in Olympia is super important. Replacing an old, outdated water heater can end up saving you hundreds of dollars in the long run. Sure, the initial purchase price of a new system can be a little overwhelming, but installing a new water heater can definitely be a worthwhile investment. In case you aren’t yet convinced, we have listed some of the many ways that installing a new water heater can benefit you. Keep reading to below to learn more! With summer officially here, many homeowners are turning their focus to their air conditioning systems, making sure they are ready to keep them comfortable all season long. And when summer is over, their attention will be turned to their heater. What most people don’t give much consideration to, is a home comfort appliance they use year-round: their water heater. This system is designed to last for quite a while, especially if they are properly maintained and cared for. No appliance or electrical system lasts forever, though, and eventually you will need an Olympia, WA water heater replacement. But what if you don’t know if the time has come to start shopping for a new water heater? Are there signs to watch out for? Certainly! Keep reading to learn more. 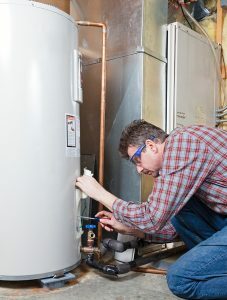 Is Your Water Heater Ready to be Replaced? When it comes to underappreciated appliances, water heaters are near the top of the list. Even though we rely on them daily, even hourly, we often don’t give a whole lot of thought to them—until something goes wrong, that is. Tank water heaters—still the preferred choice for a number of homeowners—do their jobs quietly, and unfortunately, this means that problems can creep in unnoticed. If your system is more than 10-15 years old, these problems can lead to a full system breakdown, which means you may have to replace it unexpectedly. Fortunately, our team does provide water heater installations in Tumwater, WA and beyond. But we’d like to help you avoid an emergency replacement, if at all possible! Posted in Water Heaters | Comments Off on Is Your Water Heater Ready to be Replaced? Do you currently have a standard tank water heater? 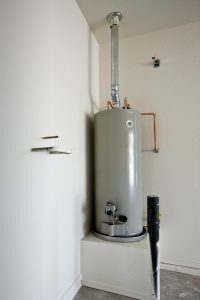 The storage tank water heater is still a very viable option for many homes today. But if you need to or want to utilize the space in which it’s occupying, you can be facing a problem. While one solution is to upgrade to tankless water heater, this may not be a very economically sound choice if your water heater is only a couple years old. But moving your water heater is not exactly a simple process, and hiring trained plumbing professionals is vital to ensuring the job is done right. Most homeowners have no clue that their water heater is about to fail. However, it’s extremely important to know the signs, since your water heater is an essential component to your home comfort. A failed water heater is disruptive to say the least, and can be costly if you need an emergency replacement and don’t have time to explore your options. So, how do you know if it’s time for a water heater replacement? We’ve shared some signs below.